In a move which took the country by surprise, the government demonetised currency notes of denominations Rs.500 and Rs. 1000 with immediate effect from the midnight of Nov 8, 2016. This step has been variously praised and pilloried. Politicians took predictable stands and economists are divided on its merits. Parliament was paralysed and the media hyperventilated extensively on it. Demonetisation will be a failure if all the banned notes are not deposited/exchanged. This article will not dwell on the politics but will attempt to step back and look at the bigger picture of the political economy. In 1978 the government had demonetised notes of Rs. 1000, Rs. 5000 & Rs. 10,000. At that time, these were more stores of value and not much used in transactions. Such notes were estimated to comprise only 0.2% of the GDP. In contrast, the Rs.500 & Rs. 1000 notes were the most common used currency, comprising 86% (by value) of the currency in circulation, and totalling to 10.5% of the GDP in 2016. As on Nov 4, 2016, the notes in circulation stood at Rs.17,74,187 crore, of which Rs. 15,25,800 crore were discontinued. These notes were also the favourites for counterfeiting, hoarding and terrorist/crime funding. As early as 1971 and regularly since then, demonetisation had been suggested to successive governments as a measure to check black money. There had been a steep increase (almost 700%) in the use of high value currency from 2003 to 2011, causing concern to the government and RBI. The scale and scope of the demonetisation has been unprecedented, and secrecy was imperative if it was to succeed. The scale and scope of the demonetisation has been unprecedented, and secrecy was imperative if it was to succeed. Media reports suggest that the Union Cabinet remained in isolation and incommunicado on Nov 8, 2016 until the PM made the announcement to the nation. The Governor of the central bank (RBI) has clarified that planning had commenced in February 2016 and the decision was arrived at by May 2016. Reports also suggest that the implementation was planned to start from Nov 20, 2016, but had to be brought forward due to pictures of the new Rs.2000 notes being circulated on social media. It is important to realise that the supply chain for notes was dealing with about 9,100 crore units, from four principle supply points to lakhs of outlets, at a rapid pace and requiring a high degree of security. The best of private sector supply chains creak under a fraction of this load. The design and features of the new notes make them more difficult (not impossible) to counterfeit, they are closer to current international best practice and require significant retooling by counterfeiters (and therefore not readily suitable for then prevalent ATM machine configurations). Though the nation was taken by surprise by the sudden move to demonetise, it is in continuity with several steps that the government has taken recently to tackle the black economy. The table below summarises some of these steps. To provide a perspective, Figure 1 below shows the estimated proportion of shadow (black) economy. It would be pertinent to comment on the relationships between central banks and central governments: a) governments are sole or substantial shareholders of central banks in the world; b) central banks derive their right of note issue from the state which is then entitled to the profits of currency issue (seignorage) on which banks have substantial authority; c) banker to the government; d)often managers of public debt (financial reforms panels over time have suggested that this be shifted from RBI); d) custodian of foreign assets; and e) have a high degree of independence (including RBI). The monetary policy in India is now determined by a committee (MPC), rather than only by the RBI governor. Social media was debating on the expected bonanza to the government arising out of banned notes which were not returned. By Nov 10, we had surmised that more than 90% of the banned notes were likely to be deposited/exchanged. 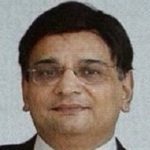 The balance sheet of RBI and the RBI Act 1934 suggest that this bonanza would in any case have been tortuous and slow, requiring legislative and legal steps. It is highly unlikely that the government was unaware of these limitations. Detailed discussion of the accounts of the RBI will be beyond the scope of this article. A Presidential Ordinance has been promulgated to extinguish the banned notes, and consequent legislation has been tabled in Parliament. Demonetisation attacked the ‘stock’ of currency held as black money (stock vs. flow is a basic feature of economics). 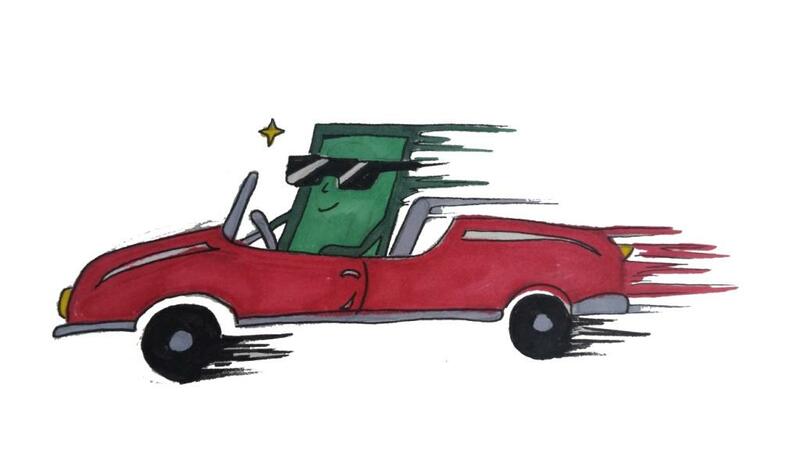 Though cash is only about 5% of the total black money in the country, it is important to note that this is the vehicle on which the black money circulates. How effectively the ‘flow’ is attacked will be seen in future.Very few companies and individuals pay direct taxes in India. Less than 30,000 companies and less than 50,000 individuals showed taxable income exceeding Rs.10 million (AY 2015). As reported in the press (December 30, 2016) citing data from the IT department, 114,000 bank accounts have seen cash deposits of more than Rs.8 million each, and the total increase in deposits based on these transactions is Rs. 3.9 lakh crore (25% of the total demonetised amount). The common citizen supported the demonetisation move admirably. The nation witnessed the strange spectacle of politicians calling upon people, who were otherwise stoic, to rebel. The common citizen supported the demonetisation move admirably. The nation witnessed the strange spectacle of politicians calling upon people, who were otherwise stoic, to rebel. The implementation of the demonetisation in the heady days leading upto Dec 30, 2016 has attracted criticism, which is not wholly unjustified. An axiom taught in the military is that the best laid plans are the first casualty in the fog of war, even though every good general will plan meticulously. A wise general will leave tactics to his unit commanders (like colonels), who then decide what specific action to take or withdraw as the battles unfold. The tactical decisions by the mandarins in the finance ministry and RBI need to be viewed in this perspective. Tactical adjustments are short-lived by definition but the impact of strategy lives on. Part of the banned currency would not come in, would be eventually extinguished, would reduce liabilities of the RBI after some twists and turns, which could eventually be passed on to the government (discussed above). Some notes coming in would be covered under the tax amnesty schemes announced, resulting in additional tax revenue. We estimate this at about Rs. 100,000 crores. Some notes will get clandestinely exchanged for the new notes and remain in the black economy. Most will legitimately be replaced by new notes. Currency in circulation will come down as all notes will not be replaced. As of Feb 10, 2017 notes issued are only about Rs. 10,72,700 crore, while most of the country is in reasonable recovery of transaction activity. Some benefits of demonetisation will come in the short-term. Most will accumulate over time. Demonetisation has introduced a step-change in the behaviour of Indians towards a digital economy, the benefits of which are manifold. Black economy: As the stock of cash has been impacted so has the black economy at least temporarily. While the flow of cash will resume, some of the impact will linger on for quite some time. 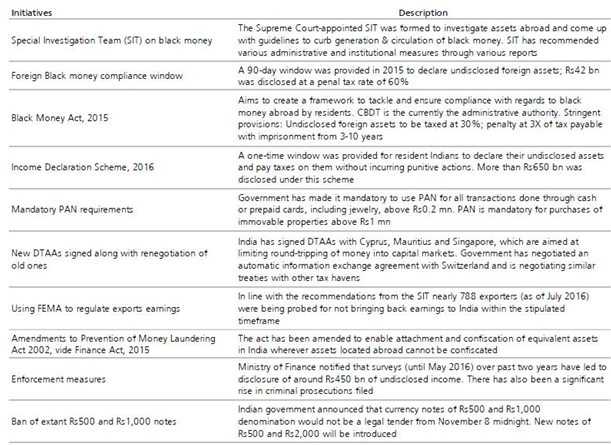 Continued success against black money will then depend on sequential and other enforcement actions. Digitalization: The world is witnessing the 4th Industrial Revolution (Industrie 4.0) India either missed out on or was a late entrant to the first three. A digital economy is both an enabler and a result of this. Demonetisation has introduced a step-change in the behaviour of Indians towards a digital economy, the benefits of which are manifold viz. a) currency has a higher cost to maintain; b)increasing the traceability with its concomitant advantages; c) boosting financial inclusion, as the last mile inclusion is expensive for traditional channels; and d)dis-intermediation. Digital transactions went up several folds between November & December. This unsustainable growth rate has started coming down, but clearly a new normal has been established for the digital economy. Commercial Banks: Banks had been citing liquidity constraints as a reason for their inability to pass on the reduction in the policy interest rates announced by the RBI over the past two years. Resulting from the surrender of demonetised notes, banks now have additional liquidity/deposits, part of which will flow out as genuine transactions in the market. A portion will help build up the CASA (current and savings accounts), which are important low-cost sources of funds for banks. Statutory (SLR and similar) requirements imply that banks will need to park some of the receipts in government securities. This helps to increase bond prices and bring down yields, which in turn will support RBI efforts to bring down policy rates and further monetary transmission(concerns on US Fed actions and core inflation have now restricted RBI from doing this). Furthermore, for the unaccounted money which comes into the system, the money multiplier will mean that proportionately more can be used for lending by banks (subject to their net worth) in the medium term. The quality of bank balance sheets has been one of the hurdles in growth. Low cost CASA with PSBs will help improve profitability of banks, thus partially mitigating the pressure on the government (i.e. taxpayers) to recapitalise the banks impacted by the non-performing assets (NPA) created due to crony capitalism.From 2007 to 2013, borrowing by businesses had increased 600%, most of it to large corporates, and banks are now left saddled with stressed assets which are around 11% of GDP. 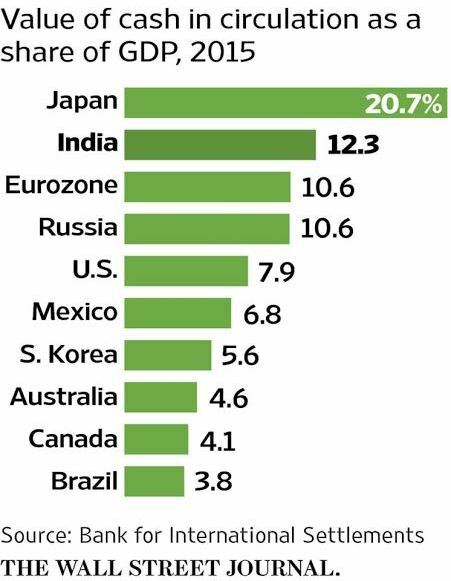 Boost to Financial Savings: India has a high savings rate. However, the bulk of these are in the form of real estate and gold. Savings in gold are generally unproductive for the economy, and excessive investment in real estate creates asset bubbles. The impact of demonetisation on real estate, and to a lesser extent on gold, will encourage shift from physical savings to financial savings. This in the long term helps the economy and markets. Lower imports of gold, lower inflation and lower interest rates will help to support the exchange rate of the currency (which is currently overvalued anyway as per the RBI REER). Tax Base: India has a low tax base, with central taxes only around 10% and state taxes around 5% of GDP. This will improve, resulting in higher taxes in subsequent years. Inflation: Government borrowing is a significant factor in increasing inefficiency in the economy. Interest on borrowings results in a very large pay-out by the government in India. Lower bond yields will help reduce cost of borrowing, and create some headroom to reduce borrowing or increase funds available with the government (assuming they are spent wisely). Though not due to demonetisation alone, consumer inflation (CPI) has witnessed a sharp downturn in the last four months, led by an even sharper downturn in food inflation. After a long time India is reporting CPI trending below core inflation (like in USA). Due to the gradual uptick in crude oil and commodity prices (and base effects), the inflation bonanza may, however, be short-lived.Introduction of GST may also contribute to an uptick in inflation for a couple of quarters, though it will certainly help in the long run. Business: Organised business, which pays higher taxes, has been at a disadvantage compared to businesses which can shirk taxes. Tax-paying (law-abiding) businesses will get competitively strengthened. Crime & Terrorism: The clean-up of illicit cash in the economy will put brakes on counterfeiting, and on organised crime and terror, large parts of which are financed through illicit cash. Immediate (and short-term) benefits were seen in various parts of the country. It is far too early to conclude whether demonetisation was a success or a failure. In a private conversation, a senior economist with experience with the RBI commented that any economist who concludes either way should be sent back to college. Inconvenience: Large numbers of people were inconvenienced, with long queues before banks and ATMs. Amazingly the common citizen was very co-operative and (unusually) disciplined, though in long lines. In some cases livelihoods were threatened, and patients denied medical treatment due to their inability to pay cash. Consumption: Private consumption is the mainstay of most economies (including India) and its growth has taken a hit. Reports indicate that this hit is not as severe as initially anticipated, even in rural areas. Government has attempted to increase consumption, but that will never compensate for private consumption. Real Estate: There has been an adverse impact on the high-value/luxury residential market, and initially on other segments also. Mass and affordable segments, based on customer site visits, are returning to earlier levels, and conversion to sales is likely to pick up. Land deals will be cleaner, benefiting the sector and eventually benefiting consumers. Sectorial Impacts: FMCG has been impacted adversely. So have gold, textiles and automobiles (after a good spike). Most of these sectors are expecting a V-shaped recovery. Growth Rates: There has been an adverse impact. We estimated that this would last for about two quarters, and GDP (GVA) growth rates for FY2016-17 will decrease to about 6.5%. This will recover in the next year. It is important to note that the Indian economy will slow down more due to global headwinds than due to domestic factors. Introduction of GST will also result in some temporary setbacks. The deceleration implies that job creation has been setback, and this may be the single most important negative fallout of demonetisation. In Conclusion – Success or Failure? Cash in the economy decreases from about 12.5% of GDP to about 9.5% (USA-7.3%) by March 2019. 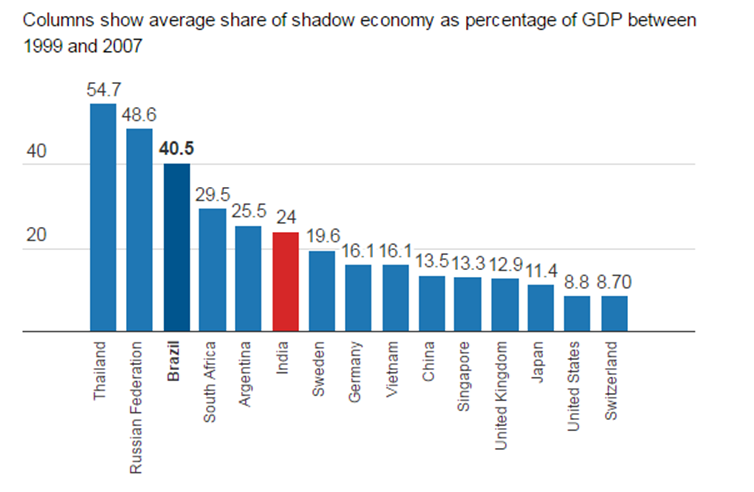 Shadow (black) economy comes down from about 25% of GDP to about 18% by March 2019. Central tax increases from about 10.4% of GDP to 15% of GDP by March 2020. India breaks into the top 50 in Transparency International rankings by September 2020. Like studying for JEE (or IIT), the pain is short term but the benefits are in the long term. 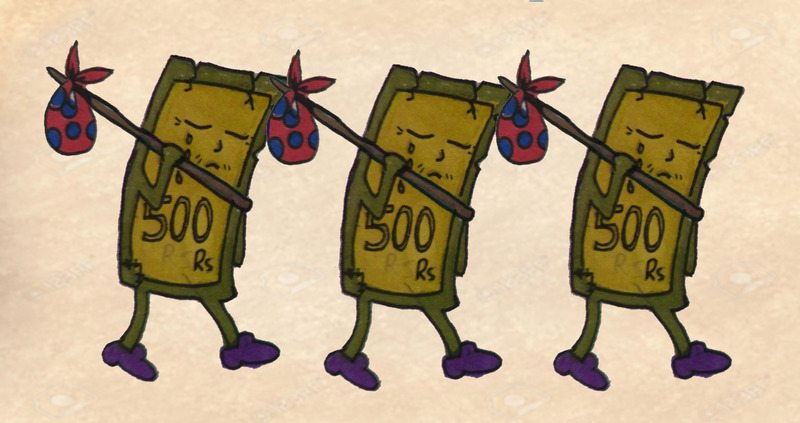 Corruption and black money have spread like a cancer in the economy and society, and efforts at treatment will perforce have to be sustained, widespread and multipronged, and will be painful for large sections of the country. Citizens will need to step up and change their own habits and drive change in the ecosystem around them. Well begun is, after all, only half finished. [PS: This article was authored in March, 2017. Some of the some data on remonetization may have changed since then]. [B.Tech’86 - Chemical Engg., H5] Vivek is an advisor at A-Joshi Strategy Consultants Pvt Ltd and a Venture Capital professional who advises young companies. He has more than 20 years of international multifunctional work experience in Manufacturing and Services. He has worked in USA for a number of years in Consulting & Manufacturing and was a licensed Chemical Engineer in California. Vivek has a B.Tech. in Chem. Engg in 1986 from IIT-Mumbai, followed by an M.S.Ch.E. from USA. He is also an alumnus of the Indian Institute of Management, Ahmedabad. His interests include Yoga and geopolitical studies.